We started a new family tradition for New Year's Eve which should last for the next few years, hopefully. As a family we went to dinner at a very nice place in town called Flanagan's. It was a good meal and it was a very good time spent with my wife and children. We talked and laughed a lot and had a great time. New Year is about four hours away. I'd like to wish all of you a very happy, healthy and prosperous 2010. 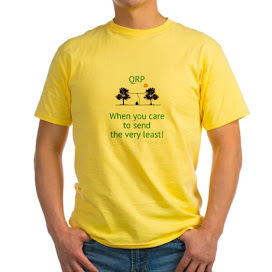 Thank you for reading my blog and sharing Amateur Radio with me. I set a record with 264 posts this year. I hope to surpass that in 2010; and hopefully, I won't bore you to tears. 1) Be the best husband, father, son and brother that I can be. 2) Lose some weight this year - at least 25 pounds. 3) Finish the PFR3A (a certainty!) and a few other kits I have here (not so certain!). 4) Get on the air more. 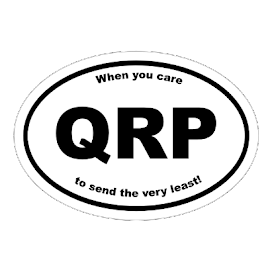 5) Send in my application for QRP DXCC (hope to do that this weekend). 6) Go somewhere really cool for FOBB 2010. And some other things I can't remember right now. The plan for the rest of the evening is to relax, and watch the New Year roll in surrounded by my beautiful bride and out two kiddos. And if I don't get on for SKN tonight (bushed) I will definitely spend some time on the air with the new Christmas key tomorrow! Did not do well at all in the NAQCC mW Sprint tonight! It was a hit and miss effort as I began - got called away - and returned with about 15 minutes to go. So, in all of about 25 minutes worth of operating time, I made 4 QSOs. I was running the K2 at the 700 mW level and reached Virginia, Ohio, Illinois and Maine. The band seemed noisier than last night during the Fox hunt, too. And every time I settled onto a frequency to call CQ, I got run off by a higher powered station that couldn't hear me. All in all, not an effort to be proud of. The weather for New Year's Eve is supposed to be less than stellar here. We are looking for some snow and freezing rain tomorrow. Not much; but enough to make the drive back and forth from work yucky. With the long weekend coming, the plan is to inventory the parts for the PFR3A and begin melting solder. Temp over the weekend are supposed to be in the lower 30s, so the basement should be warmer than it was last night. I was having a great time tonight, handing put a steady stream of QSOs as one of the 80 Meter QRP Foxes. From 0200 to 0252 UTC, I was going great guns. Then somebody threw a switch and turned the propagation off! From 0252 to 0330 UTC, I had all of 6 QSOs. Needless to say, that put a big cramp in my QSO goal. I was hoping for 60+ in the hour and a half; but the sudden loss of propagation whittled my QSO total to only 47. I did operate split listening "DOWN" and it caused the Hounds who were chasing me no problem whatsoever! These QRPers are a fine bunch of fellows; and going outside the norm caused no sweat at all! That was nice to see. I will post my log to the QFOX e-mail reflector tomorrow. The nice thing is that I get to do this one more time before the season ends. Hope propagation is better next time! Any chance that I might get drowsy and fall asleep at the key tonight are practically nil! It's a very cold outside, currently 12 F (-11C) . And no, I am not operating outside; but the basement shack is quite chilly tonight. When I last looked it was about 57 F (14C) down there; so I don't think that I'll be nodding off. I have two shirts and a sweater on; so I should be able to stay warm and comfortable for the duration. I haven't turned on the radio yet; so I don't know what conditions will be like. I hope the QRN level is low. According to my G4ILO propagation box, the SSN is 17 and HF conditions are "stable". That should be good enough for a decent hour and a half of operating. Tomorrow night is another interesting event. The NAQCC is running a mW Sprint. I really enjoy those! 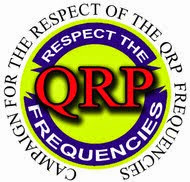 Last time I entered one a few years ago; I won; so you'll probably hear me on the air again tomorrow night, calling "CQ NA" at the 750 mW level or thereabouts. If it stays cold like this, this Winter, I just might be able to run the FYBO event right from my basement! I'll bet it's chillier down there than some outdoor FYBO temps in Florida or California! BTW, I see my stat counter went past the 50,000 mark today! Thank you very much to all of you who take the time to read this; and share a little Ham Radio with me. I am fortunate to be one of the 80 Meter Foxes in this coming Tuesday night's 80 Meter Foxhunt, along with Drew K9CW. It is always a lot of fun and at the same time, a challenge to see how many contacts can be made in the 90 minutes of the Hunt. As usual, I will be using my K2 and will be switching between the G5RV and the Butternut HF9V when the situation warrants it. I am hoping for good band conditions with a minimum of QRN and QRM from nets and the like. My goal is 60+ QSOs for the 90 minutes. I'm not a super gun contester by ANY stretch of the imagination; but I feel that if the band is decent, this will be a reachable goal for me. The other thing to keep in mind is that Thursday night (and all of New Year's Day for that matter) is Straight Key Night. This is the League's yearly effort to get us to dust off the keys and bugs and go "mechanical" for a bit. If you participate; please make sure to send a small blurb or paragraph to the soapbox. The more entries the better. It's a super low pressure and fun operating event; so even if you feel that you're rusty, that's no excuse to prevent you from getting on the air and having some fun. I have noticed that within the last few years, that in addition to using mechanical keys, a lot of Hams are using SKN to wax nostalgic and get on the air using boat anchor or vintage equipment also. It's fun to work Hams who are using the same type or brand of equipment that you may have owned years ago. It definitely makes for interesting QSOs. I hope to participate fully this year - last New Year's Eve I was in the hospital wracked up with kidney stone pain; and I am hoping and praying for no repeat performances in that regard! 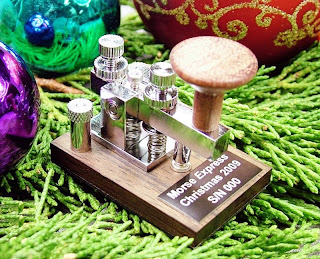 Besides the Morse Express Christmas Key from my lovely Marianne, I was surprised yesterday by one more Ham Radio gift. 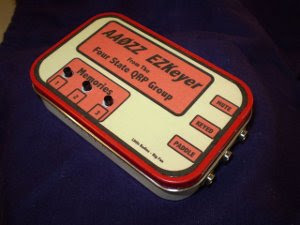 My "big sister" Ann Marie gave me an AA0ZZ keyer kit from the 4SQRP group. I don't recall whether I had dropped a "hint" or if she saw my blog posting from December 5th; but I was happy to receive it nonetheless. I was also thrilled with the other gift she gave me, "The Doomsday Key" by one of my most favorite authors, James Rollins. This is yet another Sigma Force techno-thriller; and I have become a fan of them since reading "Map of Bones". I have since read the one that was written before that one and the ones that came after. I have even read a few of James non Sigma Force novels and have been entertained by all of them. If you've never read a Sigma Force novel then I would recommend reading them in chronological order, beginning with "Sandstorm" the moving on to "Map of Bones", "The Black Order", "The Judas Strain" and "The Last Oracle". "The Doomsday Key" comes next and another Sigma Force book is anticipated this Spring. I hope to begin with the PFR3A this evening. Joey is busy on the main computer right now and once he's done I am going to download and print out the manual. I hope to begin inventorying the part tonight. Depending on how far I get, I will either complete that task tonight or finish tomorrow. It has been a very miserable day after Christmas, here weather-wise. Lots of rain and wind. It it in the upper 30s and lower 40s but feels much colder. It is very "raw" outside. A good day and night to stay inside with the fireplace roaring happily away. Merry Christmas to one and all !!! 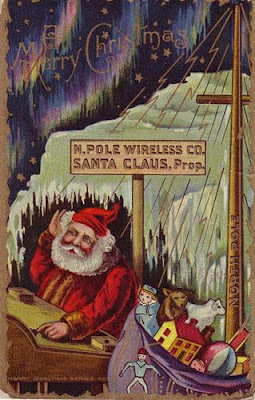 I sincerely hope that Santa was very good to you and left you a new transmitter or receiver or transceiver kit. Or perhaps a new key? Under the tree this morning, I found that Santa (Marianne) left me a brand new 2009 Christmas Key, which is way cool! 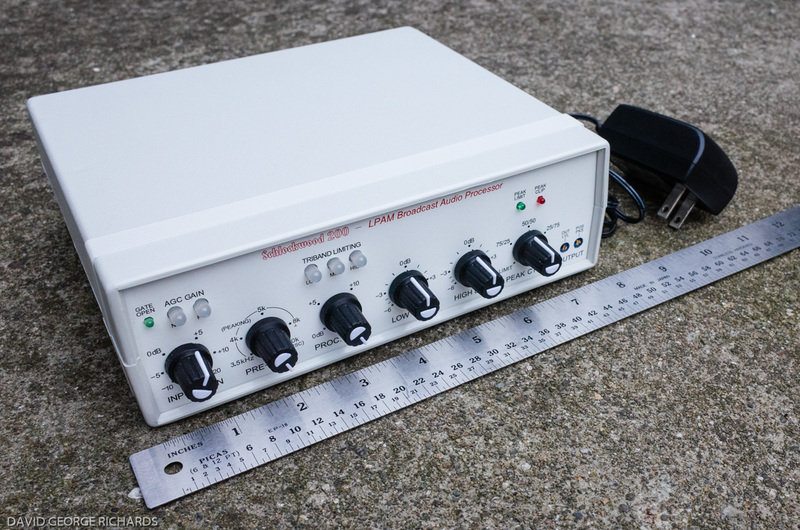 This one will work perfectly with the PFR3A which arrived last week. With all the Christmas baking that's been going on here in the W2LJ household, I have discovered that empty egg cartons make perfect holders for the electronic components that came in the PFR3A kit. I hope to get started on that this coming weekend! Once again, please know that you have my family's sincerest wishes for a most Happy, Healthy, Contented, Loving, Peaceful and Merry Christmas ever! Coming from a Polish family, our bigger celebration of Christmas comes tomorrow - on Christmas Eve. I would like to take this opportunity to wish all of you out there a Merry and Blessed Christmas. May you partake of the tranquility and joy that are the hallmarks of Christmas-tide. May your holiday be filled with friends, family, good food and all the good things of the Season. 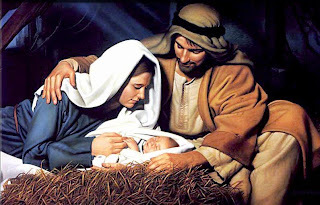 May the peace that we Christians believe the Christ child came to bring be part of your lives, now and forever. Only 8 inches in our area - towns closer to the shoreline got up to 2 feet of snow. Unfortunately, the snow blower failed to start. New gasoline, new oil and a new spark plug did not remedy the situation. I am very fortunate that our snowfall was on the slighter side. There is a lawn mower / snow blower sales and repair shop not far from my house. I will take it there after Christmas. On the radio side - no antenna damage to report! It came ..... and is coming! I arrived home today to find my PFR3A waiting for me! A very nice surprise indeed! And to make up for the long wait, Doug KI6DS included one of his Battery Status Indicator kits. Very nice touch. I will have to go online tomorrow to download the new construction manual; as well as go to the PFR3 Yahoo group to take a look at the manual errata. Sunday, if there's enough time, I will do an inventory. And it looks like there will be time on Sunday; as we are expecting the first major snow storm of the season to hit this weekend. It is cold enough that this will be an "all snow" and a "no rain" event. For the moment, the weather forecasters are talking about 4 to 12 inches (10 to 30 cm). I am planning to get up early tomorrow to get the snow blower out of the shed along with the gas can. I will have to hit the gas station, though, as I used the last of my gas when I last mowed the lawn for the season. You know what's going to happen, though ..... as soon as I get the snow blower out and gassed up - the storm will fizzle out. My son and I went grocery shopping tonight; and the store was so crowded, you'd think they were giving food away. Most people were filling up on the staples; but I did my grocery shopping for the week (including Christmas). For the Holiday, we are having people over, so I procured a turkey and a ham and all the trimmings. If we do get snow, it looks like it will stay cold enough all week long, so that we will have a White Christmas this year. Those are few and far between. Most of my Christmas shopping is done except for a few odds and ends that I can pick up easily. It will be nice to stay in and hibernate this weekend! Blogger's note - Latest weather forecast is calling for 50+ MPH winds tomorrow night - it will be blizzard like! That's also when the majority of the snow accumulation is supposed to occur. In time for Christmas ???? I finally could not hold out any longer and sent Doug KI6DS an e-mail asking if my PFR3 had been sent out. I received a reply that it hadn't; but Doug knew there was one back order left; and since he had lost his old e-mails in his ISP changeover; that he was waiting for an inquiry from SOMEONE. Well, that someone is me; and Doug informed me that my PFR3 was to ship on Tuesday (yesterday). And for my patience, that I could expect something else thrown into the mix. Now I can REALLY hardly wait. I am desperately hoping that the kit arrives soon and in time for Christmas. I will put it under the Tree and will get started on it as soon as I can. Work has been crazy .... no other way to describe it. We just finished prepping 256 servers that are needed for Friday morning. All that is left is to label them with their hostnames. I have been putting in a ton of hours, which I don't get paid for, unfortunately. But I'm glad to have a job and for being gainfully employed, even if I come too late or too exhausted to join the Fox hunt fray. Even though I am not taking anytime off for Christmas, I am looking forward to the two longer weekends off. Maybe I'll be able to get some needed rest. As far as last Sunday goes, the Christmas Spectacular at Radio City Music Hall was ..... spectacular! The weather, however, was not. It rained the whole time and we all got soaked (pretty much). I was hoping for some walk around time to show the kids the Big Tree and the skating rink. That didn't happen. We did catch a brief glimpse of the Tree; but that was it. The kids were duly impressed by Manhattan, though. We promised them another trip to the Big Apple in the Spring, when the weather is warmer and hopefully dryer. Back when I was a kid, the major TV networks always ran "Christmas Commercials" around this time of year. I looked forward to them every year, as I knew once I saw these on TV - then Christmas was really imminent! As an adult, I do not get to watch any where near as much TV as I did as a kid. Plus the fact there are so many channels now - we only had seven to pick from in those days - I don't know if the major networks even do this anymore. Plus the fact that wishing someone a "Merry Christmas" is somehow now taken as an insult. I hope you enjoy it and take it as a warm wish for peace, joy and love this coming Christmas Season. Last Saturday came the snow - today came the Arctic blast! I awoke this morning to hear my Radio Shack indoor/outdoor thermometer beeping. It does that when the outdoor temperatures go below 37F (3C). It was way below 37F - it was a lovely (sarcasm mode on) 19F (-7C). And it was windy to boot! Factoring in the wind chill it felt like it was in the single Fahrenheit digits (way -C digits!). Christmas decorations, garbage cans, whatever is not tied down outside is blowing around. As I sit and type this, it is currently 24F (-4C) and the wind continues to blow. I am hoping for some moderation as this Sunday we are taking the kids into Manhattan for the very first time to see the gigantic Christmas Tree at Rockefeller Center and the Christmas Show at Radio City Music Hall. They have no idea what a real city environment is like - only what they've seen on TV. I am sure it will be a surprise to both of them. I am betting that Cara, my daughter, will love it; while my son, Joey, will probably be ho-hum about it. On a radio note, I was hoping my PFR3 would be in the mailbox today when I got home. It was not. According to Doug KI6DS, the first batches went out last Monday and yesterday. I thought that since I placed my order way back in September, before the "Out of Stock" sign was even posted, that I'd be in the first batch. Guess not. Here's hoping that I see it next week. What is concerning me is that I didn't receive an e-mail from Doug notifying me that my kit had shipped. For some reason, I thought that was supposed to happen. I hope that I am mistaken and that it shows up in the next few days. If I don't receive anything by next Friday, I guess I'll have to be a nudge. Tonight would be a good night to play radio with the 80 Meter QRP Fox hunt AND the NAQCC monthly sprint going on ..... but I am afraid I would fall asleep at the key! Between yesterday and today at work, I feel like I have spent an entire week there already; and it's only Tuesday night! My partner and I have prepped over 200 switches, servers and routers for install within these two days. That is about a normal week's worth of work in two days. I am too pooped to dit or dah. In fact, as soon as I finish this, I am hitting the rack. I sense solder beginning to melt in the very near future! Oh, by the way, I am posting this via an Acer Aspire One that I won on eBay. The wireless network thing is working great at the W2LJ household; and I can now make these posts even when the XYL is busily using the main desktop computer. Ain't technology great! I gotta say "Good Night" for now - I am making so many typos that I am hitting the Backspace key more than any other! Winter does not "officially" arrive in New Jersey for another two weeks or so; but Ol' Man Winter sent us his calling card in advance warning today. The day started out with some rain and drizzle; but by lunchtime, the precipitation had turned into wet snow. Not any real accumulation, just a "dusting" of wet slush on grassy surfaces; but it was enough to raise the hackles on the back of my neck. I am a warm weather person. I love the warmth. Give me May, June, July and August any day of the week. When the weather turns colder and the days grow shorter, I am ready to join the bears for hibernation. Like I've said before, the only good thing about this time of year is the return of good operating conditions to 80 Meters. I spent some time with Bob W3BBO on Echolink this afternoon. We meet every Saturday for a BS session. We gripe, we moan, we fill each other in on our doings, both radio-wise and not. A lot of times we give each other good ideas and today was no exception. Anyway, before I get off track, we then got into a discussion of when I will probably see my PFR3. Bob and I both know that according to the Hendricks QRPKits website that PFR3s were supposed to begin shipping this week. But given the past track record; and the fact that I am a realist by nature, I told Bob that I expect to see my kit sometime in early January (if I'm lucky). Considering I ordered and paid for the kit in September ......... I won't say anymore because I'll only end up sticking my foot in my mouth. What a difference a week makes, eh? This time last weekend the bands were simply humming. Tonight we go back to, "Anybody out there?" Maybe everybody's up on 160 Meters for the contest. I still have to finish that 160 Meter board for my K2 and get it installed. Tomorrow, if everything goes according to plan, the day will be spent decorating the house for Christmas. I did the outdoor stuff last weekend; and am I ever glad that I did. Last Sunday the high temp for the day was near 60 degrees. Tomorrow's high is expected to be somewhere near 42 degrees! The band started out quietly without the normal neighborhood QRN. I was able to work one of the 40 Meter Foxes, Dale WC7S out of Wyoming. The QSB was deep and reception of Dale was up and down. He was anywhere from 579 to nearly inaudible. But work him I did; and when I went to go find the other Fox - Whammo! The 20 over 9 curtain of neighborhood noise turned on and I shut it down for the evening. The good news is that this is the first week of December; and this is the week that my PFR3 is supposed to ship. I can't wait to get started on a new kit; and am very much looking forward to this. I cannot wait to get it on the air; to see how the PFR3 stacks up against the K1. I will probably keep both (you can NEVER have too many radios); but you never know. Maybe one will end up becoming seed money for some other QRP kit or project. The disappointment for the day was finally seeing the Fox log from Tuesday night for Scott N0AR. I was positive that I had worked him; only to view his log tonight and see someone else's callsign in the time slot where I thought I would see mine. Just goes to show that even when you think you have a pelt in the bag; you have to check the log to make sure. Last night during the 80 Meter QRP Fox hunt, conditions once again seemed more like summer than late autumn. Static was really bad; and I'm sure it has a lot to do with the weather that will be coming through the next couple of days. I awoke this morning to find the temperatures were in the high 20s. During the day the temperature rose steadily as it began to rain. Tomorrow is supposed to be rainy with a high in the lower 60s. Then the temps are supposed to fall steadily with highs only in the low 40s for Saturday and Sunday. This roller coaster of temps and air masses seems to be causing instability in the atmosphere and the resulting QRN. Once winter decides to settle in, I'm sure that conditions will improve. Although conditions on 160 Meters seem to be good. If you read K3WWP's diary, you'll see that he had quite the time participating in a 160 Meter contest. I would have thought that conditions for 160 Meters would mimic the conditions on 80 Meters. Guess I still have a lot to learn.